Carrer de Badajoz, a street in Barcelona. 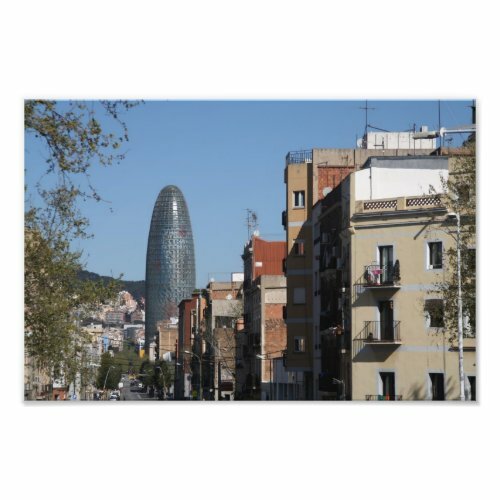 In the background you can see the Torre Agbar, a landmark skyscraper designed by architect Jean Nouvel. It is supposed to look like a geyser rising into the air (which I don't see), though the architect later described it as having a phallic character (which I do see).